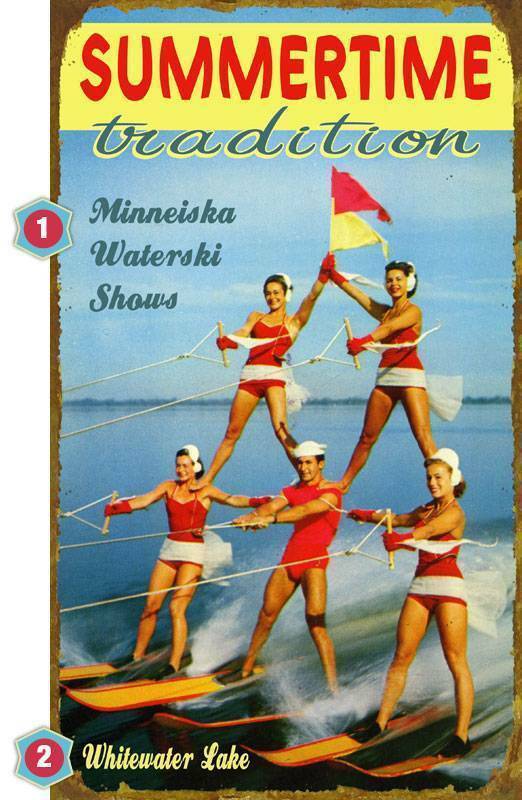 Our colorful retro “Water Ski Show Sign" provides a nostalgic depiction of the days when water ski teams were all the rage. 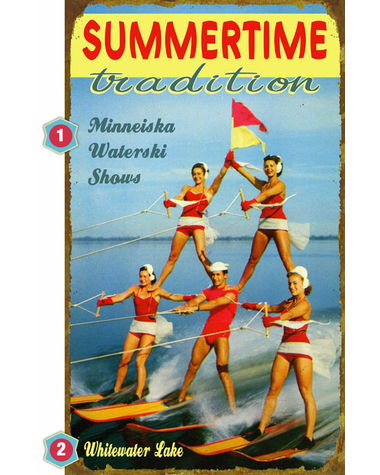 This sign comes in three different sizes, in wood or metal, and can be personalized with your name and location. Enter your personalization as you would like it to appear using capital and lowercase letters, numbers, punctuation marks and characters. Do not type using all capital letters or all lowercase letters unless this is how you want the item to appear. And please review your personalization carefully, as your gift will arrive printed with the text exactly as entered.